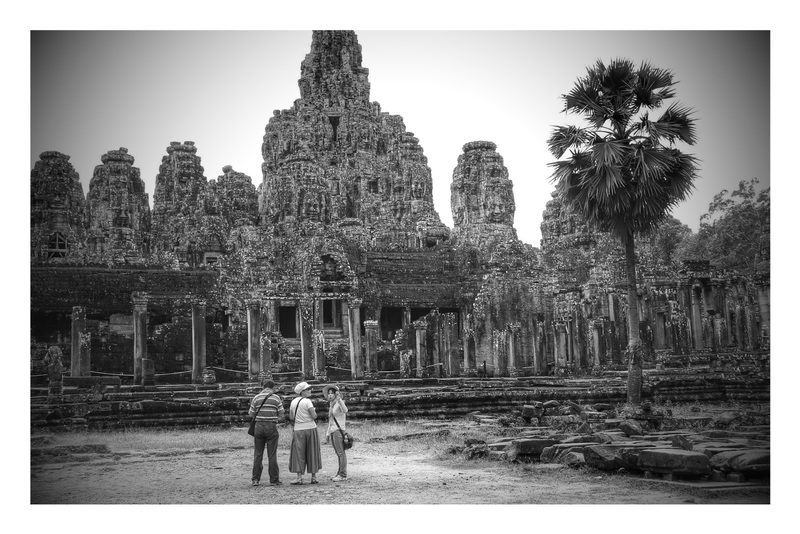 This is a continuation post from the previous travel post to Siem Reap in Cambodia. We continued our group tour to Bayon and Angkor Wat Temples after visiting Tra Prohm Temple, which became popular in Angelina Jolie's movie called Tomb Raider. These temples are located nearby in Angkor Province of Siem Reap in Cambodia. However, it's not a short walking distance to each other thus, you should arrange for private transportation or participate group tours. Bayon Temple is located to the North of the famous Angkor Wat Temple. It is a Buddhist temple with Hindu elements on the structure. It is built around 1190AD by King Jayavarman VII. Bayon Temple is famous known for its huge stone faces of the Bodhisttva Avalokiteshvara. Angkor Wat Temple is the most popular attraction sites to visit in Siem Reap. Angkor Wat Temple is built by Khmer civilization between 802 and 1220 AD. This is the most astonishing architectural achievement as the structure is still surviving until today.